A Training Workshop will take place in the Ionad Dara Community Centre, Goresbridge, Co. Kilkenny on Saturday 26th July 2014, from 10 a.m. to 4 p.m. (followed by HCAP MCQ at 4 p.m. at the same venue). 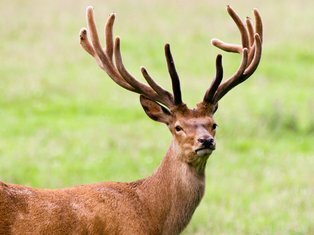 Places must be booked in advance by text to 086 1927 845 or email to deeralliance@gmail.com, and payment €50.00 may be made on the day. The Ionad Dara Centre is situated beside the Catholic Church, Church Street, Goresbridge. Participation in the Training Workshop is entirely optional and is offered as a support facility to HCAP candidates. Candidates are invited to bring their own lunch (also available locally) although tea and coffee will be available. Barry Coad, Deer, Game & Sporting Rights Manager, Coillte Teoranta. Liam M. Nolan, Deer Alliance. 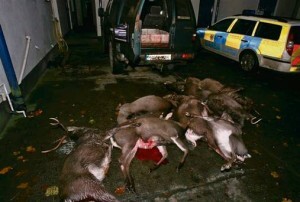 Damien Hannigan, Wild Deer Association of Ireland. The full range of topics associated with the HCAP MCQ will be covered. Applications for the HCAP MCQ closed on Monday 21st July 2014. Applications for the Training Workshop will be accepted up to close of business on Friday 25th July 2014. A list of candidates eligible for the MCQ is set out in a separate posting on this blog. This entry was posted in Uncategorized on July 22, 2014 by Liam Nolan. 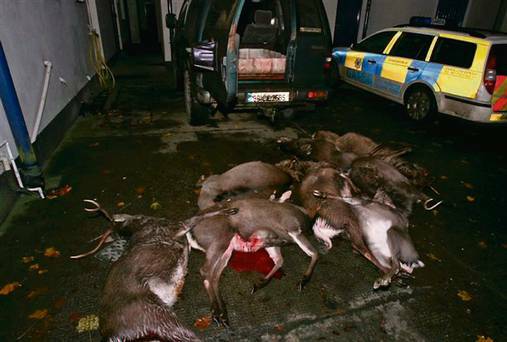 Liam Nolan of the Deer Alliance, Liam McGarry of the Irish Deer Society and Damien Hannigan of the Wild Deer Association of Ireland were interviewed on the RTE Radio 1 “Liveline” programme on Wednesday 16th, Thursday 17th and Friday 18th July 2014 respectively dealing with the issue of deer poaching and in particular the issue of shooting of deer with lamps at night in or out of season. Podcasts of the broadcasts can be downloaded at www.rte.ie/radio1/liveline/podcasts or by clicking on the links above. This entry was posted in Uncategorized on July 18, 2014 by Liam Nolan. The following Candidates remain eligible to participate in the next-scheduled MCQ, to be held at 4 p.m. on Saturday 26th July 2014. As before, the venue will be the Ionad Dara Community Centre, Goresbridge, Co. Kilkenny. The MCQ will be preceded by a Training Workshop which will run from 10 a.m. to 3.30 p.m. and is intended to prepare Candidates thoroughly for the MCQ when supported by the Deer Alliance Training Manual. Guest speakers will attend. The add-on cost of the Training Workshop is €50.00. Candidates wishing to participate in the Training Workshop must book a place in advance (by email to deeralliance@gmail.com or by text to 086 1927 845). Payment can be made on the day where a place has been reserved. 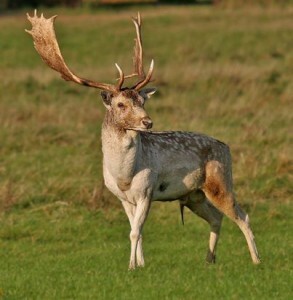 The Deer Alliance Training Manual can be ordered and paid for through the Deer Alliance website, www.deeralliance.ie, cost €35.00 inc. p. & p.
The closing date for applications for this MCQ is Monday 21st July 2014. Successful Candidates will then be eligible to participate in the HCAP Range Test to be held on Saturday 9th August 2014. There will be no further MCQs or Range Tests in 2014. This entry was posted in Uncategorized on July 3, 2014 by Liam Nolan.